Modern day vehicles come accessorized with the latest gadgets and amazing new features, which not only add to your pleasure while driving, but also offer convenience and safety. Features like car alarms and in dash navigation prove immensely useful for keeping your vehicle protected, while the incredible range of high-end car audio systems keep you entertained with their impeccable sound quality. If you too want to add any of these amazing features to your car, we at Auburn Sounds on Wheels have an amazing range of options lined up for you. 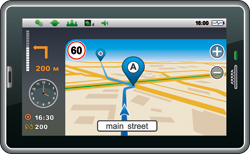 We are experts in the installation of car audio systems and car alarms, as well as in dash navigation systems. 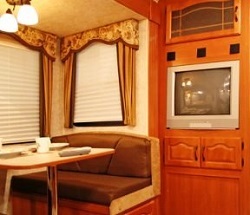 Our products and services are known for their unmatched quality and reasonable prices. New products are being launched every day to increase the safety of vehicles and drivers on the road. Drager Interlock is one such device, which is becoming increasingly popular when it comes to keeping drunk drivers off the road. These devices are known to be highly reliable, as well as easy to use. By opting for Drager Interlock installations for your vehicles, you can avoid your vehicles being driven by someone who might be drunk. At Auburn Sounds on Wheels, you can rest assured that our Drager Interlock installations are always carried out by an experienced and knowledgeable technician. Our certified technicians receive training from time to time, to keep them updated with the latest technology and practices prevailing in the industry. This enables them to deliver the most reliable and high quality Drager Interlock installations to our clients in Auburn. 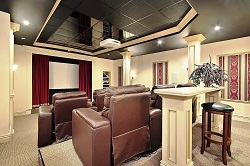 Installing a home theater is not an easy task, and only a pro can carry out the process efficiently. There are many components, like wires, speakers and other fixtures, which need to be installed carefully to ensure that you have a well organized, easy to use and sophisticated system in the end. Your home theater is definitely a costly investment, so do not take chances by hiring just anyone for home theater installations. Our attention to details and ability to carry out home theater installation in varied settings makes us one of the most preferred names in and around the Auburn area. To know more about our home theater or car audio systems, or to hire us for the best in class Drager Interlock installations, give us a call at 253-217-4800.